OSRAM Opto Semiconductors, represented in Australia by Braemac , continues to roll out expansion plans for its Pictiva line of organic light-emitting diode (OLED) graphic display products by introducing two new Pictiva solutions designed for the consumer and communications markets. 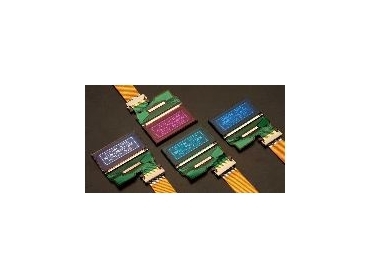 New products include a 128 x 48 pixel solution in seven different colours as well as a second white and blue display format for OSRAM's existing 96 x 36 pixel graphics display. Designed for the fast growing, MP3 player market, the new 128x48 display is a standard, and highly competitive, product available in seven different colours to meet a wide range of colour options. Depending on colour, this 1.2-inch product offers a lifetime between 10,000 and 40,000 hours. OSRAM's new 96x36 standard Pictiva product in both white and blue is ideal for sub-display cellular telephones that look for these two product differentiations. The white and blue solutions are also qualified for alternative communications and consumer applications with similar size and specification requirements. The Pictiva family of lightweight, ultra-thin, polymer-based, self-emitting displays offer moving pictures in video quality with a wide viewing angle. Demand for the displays is particularly high among cellular telephone manufacturers, but these displays can be used for a wide range of applications, including medical diagnostic devices, personal communication appliances and light industrial portable devices.